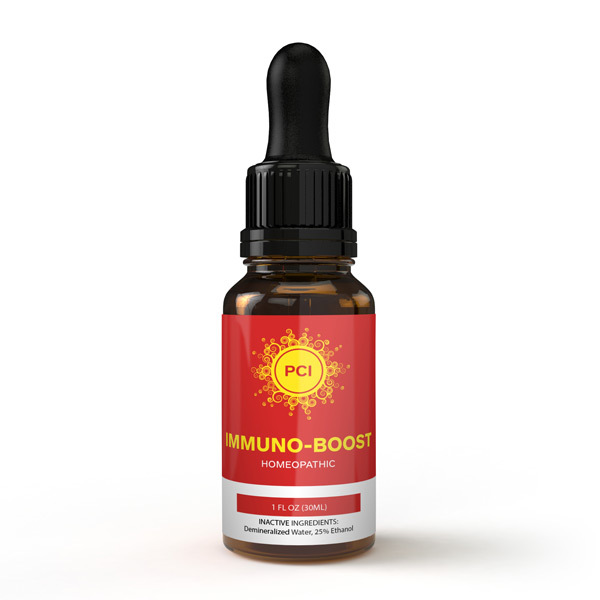 PCI Immuno-Boost homeopathic drops for the temporary relief of symptoms of chronic illness including fatigue, effects of toxin buildup, slowed metabolism, weakened constitutions. 10 drops under the tongue, 3 to 6 times per day or as directed by a health professional. Consult a physician for use in children under 12 years of age.